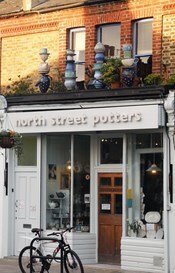 Hugh Thomas pays a visit to North Street Potters, a small Clapham-based pottery that creates the plates and bowls seen in some of the UK’s top restaurants. ‘Oh, we never use that word! 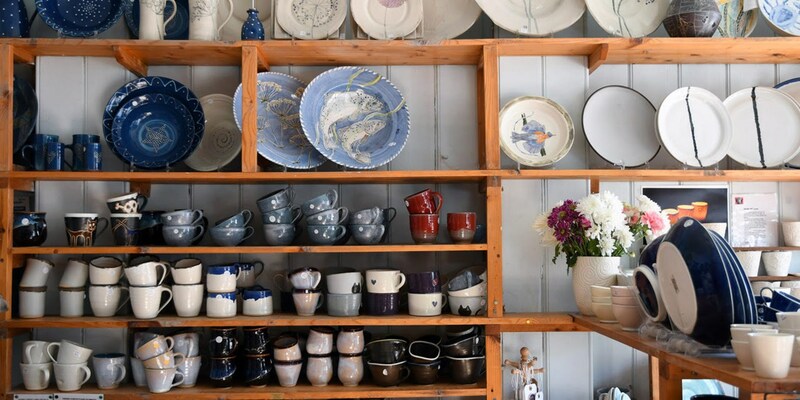 Go and wash your mouth out.’ I’m talking to Naine Woodrow, of North Street Potters in Clapham, and I’ve just learned something new – never use the word ‘crockery’ in the presence of one of the country’s most skilled potters. Why it’s so blasphemous a term I can only guess (I didn’t fancy pressing the issue). Perhaps it conjures images of the most basic, utilitarian, and industrially-made ceramics, commonly found in your local high street kitchenware chain? 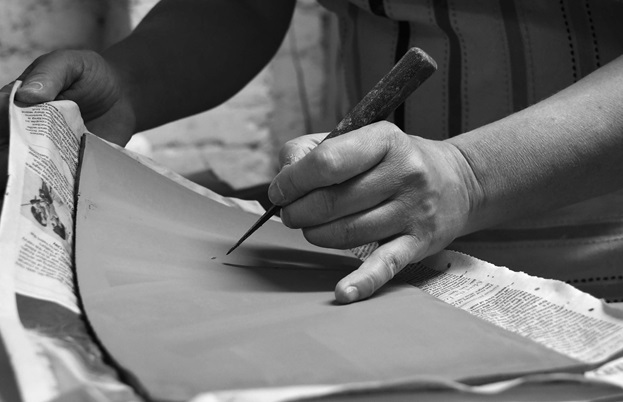 If that’s the case, then lock me up – Naine’s a veteran craftswoman. 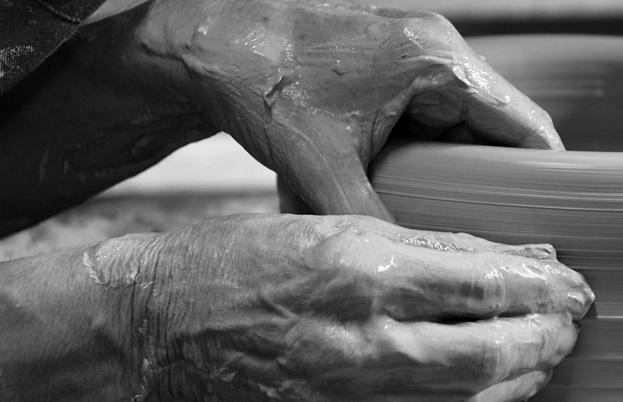 ‘I’ve been doing this for nearly forty years,’ she says, ‘so I’m an old hand.’ Having originally trained in pottery in Japan, Naine returned to the UK after five years to continue her craft. Since then, and after setting up North Street Potters, she’s attracted clients from around London, the UK, and once or twice from other parts of the world. 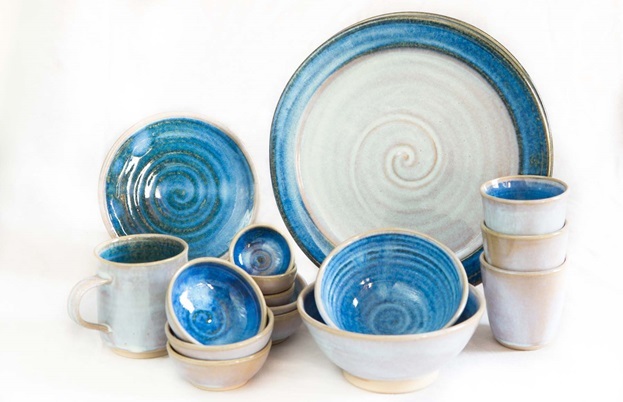 All for good reason – the glazes on Naine’s bowls, plates, teapots, saucers and other pieces are alluring deep sea blues, mint yoghurt greens and squid ink blacks. 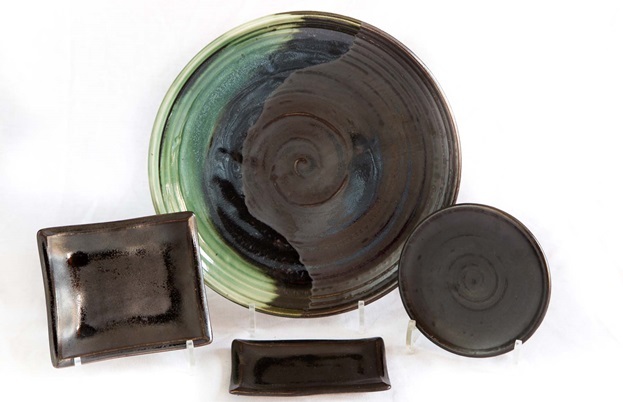 The designs are simple, yet elegant – if you wanted to go home with pottery that made a statement on your kitchen wall, you wouldn’t have any trouble finding a piece or two here. However, when it comes to nice tableware that’s going to show off nice food, you’ll typically go for one of the shop’s subtler options. 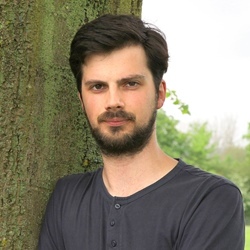 Robin Gill also happens to be on the list of North Street Potter’s high-profile clients, but don’t think the British chefs doing British food are the only ones interested – Naine also does work for the more exotically inclined establishments. ‘Coya, who do ceviche and guacamole, have very colourful tableware. It just goes with who they are, being a rather exuberant group of people,’ she says. Meanwhile, given Naine’s training in Japan, Bone Daddies’ Ross Shonhan has in the past put in orders for bespoke donburi bowls. Much like the role of a chef, creativity is an important part of Naine’s job. But, also like the role of a chef, it has its limits. If a chef has an appointment with the potters, or someone walks into the shop, more often than not what they go home with will be something in pale blue. Or green. ‘They buy armfuls of it,’ says Naine. Sure, it’s a safe choice, but perhaps it betrays a reluctance in expression. Funny, when cooking is such a large statement of oneself.